While Melbourne boasts impressive public transport, none of the tramlines offer a scenic tour out of the city. Luckily, the best part about selling your car in Melbourne is the regained freedom from buying a new one. The wild beauty of Victoria is easily accessed on wheels for anyone seeking adventure, luxury or the peace of fresh air and flowing water. If you’re ready for that, there are some places you should know about. Everyone’s heard of the Great Ocean Road and its marvellous views, but there is a lot more on offer than the standard sights. Turton’s Track in the Great Otway National Park is worth a whole day trip to coast through precious remaining rainforest, waterfalls, rivers and even Californian Redwoods. 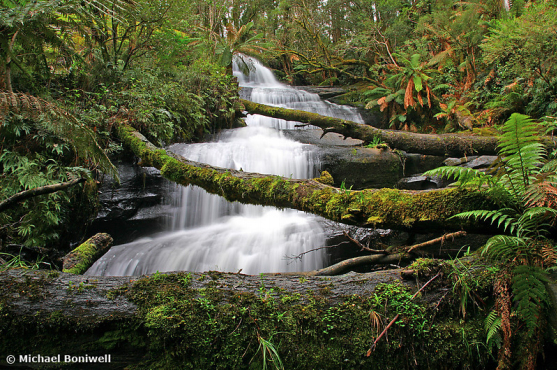 Stretch your legs at the Fly Treetop Walk next to the Triplet Falls or take a bushwalk into the enormous tree ferns. If you’re up for an after hours journey, visit Melba Gully to walk beside the glow-worms in the dark. This loop starts and ends at Apollo Bay and the rough areas have recently been sealed, so it’s safe, and the miles on your new car will be a lot smoother. Peaceful pit stop at Triplet Falls off the Turton Track Loop. If you like hitting destinations rather than loops, the Black Spur drive gives you two. 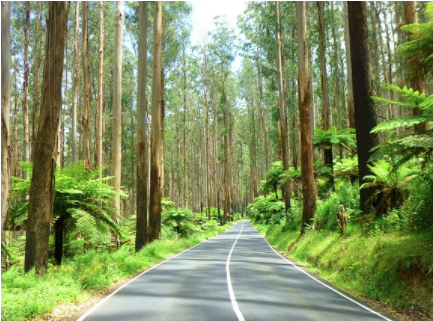 It’s a riveting 30k drive between Healesville and Marysville, about an hour out of Melbourne, twisting through the tallest flowering trees in the world, the Eucalyptus Regnans. Healesville houses all the goods of Yarra Valley, namely the local food and wine, as well as a Sanctuary Wildlife Park where you can feed kangaroos and see the illustrious Tasmanian devil’s. If you’d rather see nature in it’s wild form, Marysville has year round mountain biking and bushwalking trails. You’ll hit all of the above on either end of this 30-minute drive. The incredible flowering Egnan Eucalypts cradling the highway. Healesville Wildlife Sanctuary, up close and very personal. If you’re a moviegoer and you’ve got a vehicle, you can’t really pass up a modern day drive-in cinema. Perhaps you thought they went extinct decades ago, but just a few suburbs north of the city centre you can roll into Village Cinemas in Coburg and watch Hollywood hits and international films on the big screen. They have friendly staff and good food that you can sms order to your car. Listen through your own car speakers or bring some camping chairs for the warm summer nights. Mondays are half price and you can even bring your dog (or kids), so fill up your car with your favourite people and drive on in. 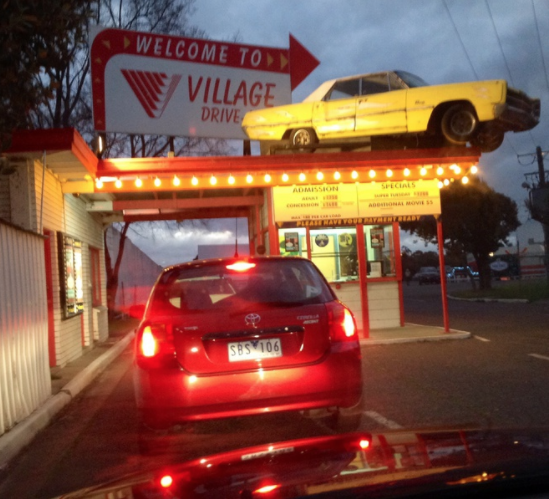 The early evening line up at the Village Drive-In ticketing booth. If you’re looking for an “off-centre” experience, drive out to Gippsland for a night or two in what is known as “live in art”. A 90-minute drive from Melbourne at the foot of Mount Baw Baw, you will discover Mira Mira, one of the most unique hotels in the world. It offers you a break from straight lined architecture and lets your mind spiral through unusual and romantic dwellings. 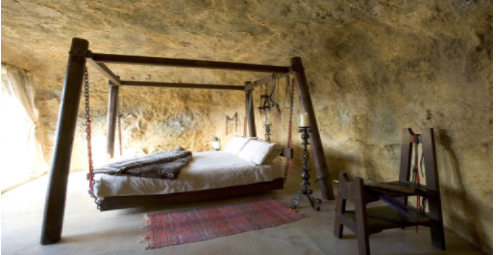 You can stay in a cave, or a Japanese zen retreat and wander the 22 acres of bushland. Best enjoyed with a loved one who can handle the stranger side. Perhaps the greatest advantage of being a Melbourne resident with a car is your access to the magical state of Tasmania, with the freedom to travel where the signs lead you. The Spirit of Tasmania departs daily, or you can book a quaint cabin and catch the overnight ferry to start your morning in the crisp Tassie air. The ferry ride itself is an exciting journey across crashing seas, which you can watch through the large windows with a glass of wine and your favourite book. On the other side you’ll discover that Tasmania’s beauty is vast and wild and best explored in your own car, and in good company. 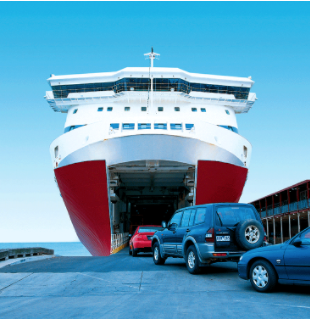 Travellers eagerly boarding the Spirit of Tasmania. And finally, if you really need a long-term dose of vitamin D, drive north out of the city and keep on going until you reach Sydney. The stretch between these two major cities is one of the best and most versatile drives in the whole country. You’ll pass through charming coastal towns like Eden and Mallacoota, plus bushwalking trails, rivers and uncrowded beaches, and one national park after the next. You can smash through this drive in 9 hours, or stay as long as you need along the way to charge back up. Book into small town hotels or throw a tent in the car and camp oceanside all the way up. A couple romancing at a pit stop in Kiama on the way up to Sydney from Melbourne.